To most of us, walking feels like the most natural, carefree movement. But there is a lot of work that goes into each careful step, through our strength, coordination and balance. 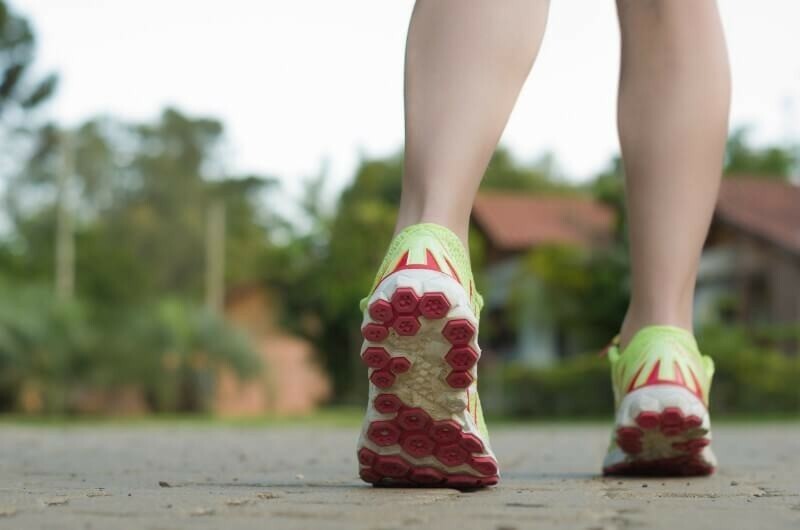 Abnormal gait is the term given to an unusual walking pattern – or ‘gait’ – as a result of illness, injury or general foot problems, and it can cause discomfort and pain to your lower limbs. At Feet By Pody, we carry out a full biomechanical assessment as part of our podiatry service. So if you’re suffering with injury or painful postural problems, we may be able to identify why, and advise you on the best course of treatment and action. Scissors gait: when a person’s legs bend towards each other, they cross and may hit each other when walking. Limping gait: commonly seen, this is the resistance to weight bearing on one or other side resulting in an uneven walking pattern. Diplegic/spastic gait: is when a person drags their feet when they walk. Neuropathic/steppage gait: is when a person’s toes point downwards when walk, often scraping along the ground as they step forwards. Propulsive gait: is when the neck and head are permanently thrust forwards. Sensory/stomping gait: identified by picking feet high off the ground and slamming the foot hard onto the ground with each step. Myopathic/waddling gait: characterised by taking short steps and swinging the body from side to side. What Causes an Abnormal Gait? An abnormal gait pattern is something that anyone can develop or suffer from. Children develop at different speeds to one another, so it can be difficult to spot abnormal gait in young children while they’re still growing. It is suggested by British doctor, Keith Barnard, that most abnormal tendencies in children, such as bow legs, flat feet and in-toeing should right themselves as the child grows up, in line with developmental milestones. If tendencies get worse or are causing pain, further medical investigation should be sought. Abnormal gait in adults can usually be attributed to one of two things: physical disability such as cerebral palsy which affects muscle tone and control and therefore posture and movement, or injury such as tendonitis or shin splints. If a permanent disability, pain from abnormal gait can be managed through things like walking aids and props, or if it is a temporary issue as a reaction to injury, abnormal gait can often be rectified through ongoing gait analysis and physiotherapy. Degenerative diseases associated with the older population, such as arthritis, Parkinson’s disease and dementia can often result in abnormal gait and trouble walking comfortably and keeping balance. As cited by a study published by the National Centre for Biotechnology Information in America, gait disorders increase in prevalence from 10% in 60-69 year olds, to over 60% in people over 80 years of age. Gait abnormalities can often be treated and lessened through the use of prescription orthotics, physiotherapy exercises to strengthen weakened muscles and walking aids to help with balance. If you are having problems with your balance, suffering from a sports injury that is affecting the way you walk, or are worried about the walking pattern of yourself or a loved one, contact Feet By Pody today. Our friendly team of podiatrists across our London clinics will diagnose your condition and suggest the relevant treatment.